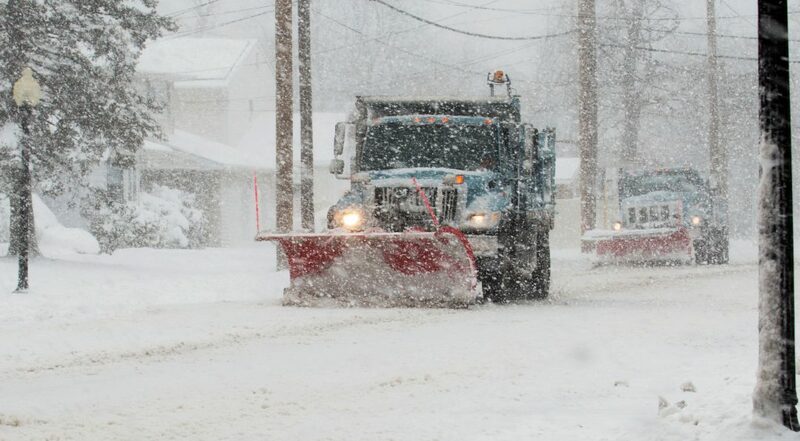 There are tons of things you can do to prepare your place of business for winter. We’re going to give you a handy list of some super easy ideas that will really make a difference and make everyone safer. Get some mats. Seriously. Accidents, like falling down or slipping on a wet floor, are more frequent in the winter. You know this. It’s easy and cost effective to put some mats down at the entrance to your store or office or warehouse and cut down on the water and snow being tracked everywhere. Dry floors are safer floors. Clean floors are safer floors. Tell sick employees to stay home. Don’t penalize employees for being sick, and instead, tell them to stay home. Someone who has a fever is contagious. Someone who is sneezing and coughing is spreading their germs everywhere. Sick employees are not productive and make everyone else sick. Put hand sanitizer throughout the office. When driving conditions are bad, let employees leave early. Even 20-30 minutes before the rush can make a big difference. Workplaces with low morale have a hard time keeping employees. Show the employees that you respect them and their wellbeing. They will be safer on the road before it’s gridlocked in foul weather. Have at least one battery-operated radio on site. If you have a power outage, this is how you can get weather and traffic reports. Leave it with the receptionist or in the storage room, but make sure everyone knows where it is. Keep outside entries and sidewalks clean. Put down salt if necessary, but make sure the sidewalk, front walkway, and entrance to your business is clean and free of snow and ice. Try to prevent cold stress. Yes, there is such a thing, and it doesn’t have to be below freezing for employees to have it. It’s not hard for employees working outside to become hypothermic, get frostbite, or acquire trench foot. Make sure that employees working outside are dressed appropriately with hats and gloves and their footwear. Allow them regular breaks to get warm, dry off, and up the morale. Encourage employees to drink plenty of water. We want everyone at your place of business to be safe during the winter. Although mats are our business, we also care about everything that makes your business safer for employees and customers. Do you have other questions? It’s easy to contact us, and we’re happy to help you. You can always call us at (877) 333-1018 or email us at sales@eaglemat.com for more information or if you aren’t sure what you need. This entry was posted in Risk Assessment and Prevention and tagged accident prevention, Winter Floor Mats, Winter Storm Preparedness, Winter Weather Safety, workplace safety. Bookmark the permalink.